Whether you need a new electric fence installed, or wish to upgrade an existing Invisible Fence®, Dog Watch®, Pet Safe® or even Pet Stop® System we are here to support you. We service all competitive underground fence systems and replacement parts including Invisible Fence® replacement batteries. 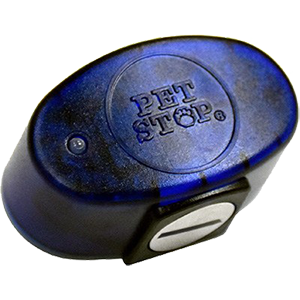 Though we are not associated with Invisible Fence®, we can provide independent support for Invisible Dog Fencing® systems, and most other electric pet fence systems such as DogWatch, Dog Guard, Innotek, etc. We can repair wire breaks and exposed wires, or provide troubleshooting support and general maintenance. Contact us today to find out how Friendly Pet Boundaries can help keep your Invisible Fence® functioning and your pet safely and securely contained!